When you combine your jewels with a soft and textured pique cotton polo, you get these magnificent sport shirts! 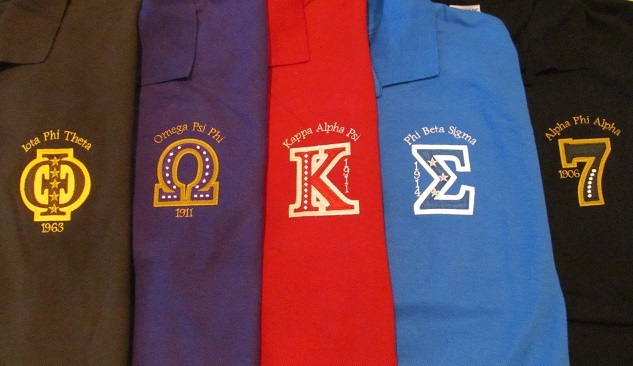 Your organization's jewels are embroidered through your greek letter (or number "7" for Alpha Phi Alpha) to create a stunning and attractive design. 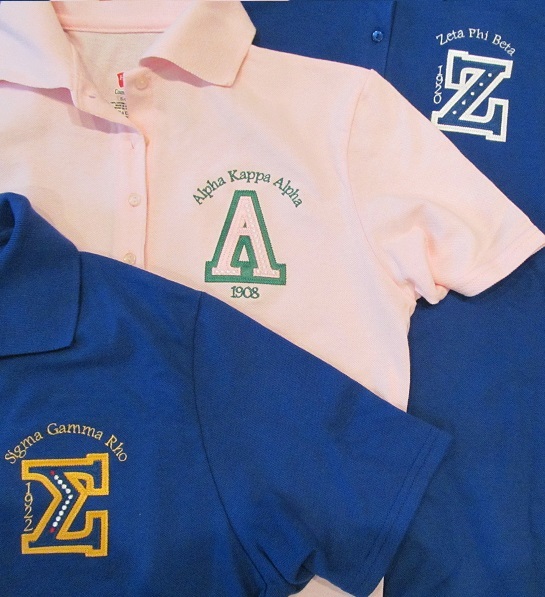 There are 20 pearls embroidered into the A on the AKA polo, 5 pearls on the Z in the Zeta polo, etc. Your organization name and founding year are embroidered around the jewel design. * Note - Ladies, the Ladies' polos run about a little small - about a half- to a full size. Please, order accordingly.